Getting rid of cable was one of the best financial decisions my husband and I have made. We don’t even miss it, and to tell you the truth, neither do our kids. 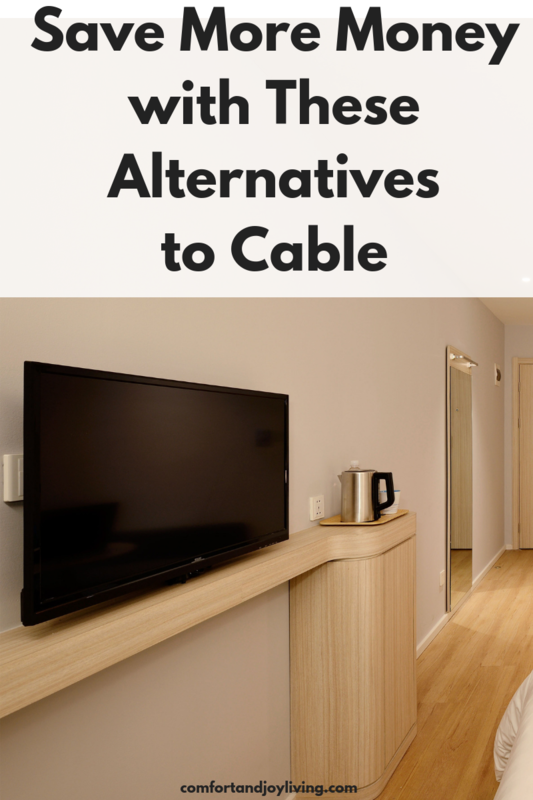 With all the alternative options available, there’s no need to pay for expensive cable. Here are some affordable alternatives to cable. Digital Antenna: Let’s start off with an antenna. You will be able to get your local stations with an antenna, so if you have a sports fan in your family, this will come in handy. They vary in price, most are under $100 and absolutely worth the investment. Netflix: Netflix was one of the first services we started using and it’s still a great deal for both movies and TV shows that you can stream on your TV, laptop, phone or tablet. They have three price points—basic, standard and premium that range from $7.99 to $11.99 a month. Amazon Prime: With an Amazon Prime subscription (which cost $99/yr or a monthly subscription, you get access to movies and TV shows at no additional cost. Hulu: Hulu lets you stream TV shows and movies from major networks like NBC, ABC, and Fox. There are two separate price points: one with commercials and the other which is commercial-free. Roku: Roku allows you to stream TV shows and movies to your TV from services like Netflix, Hulu Plus and Amazon Video On Demand. You can also stream sporting events and music from Pandora, iTunes and MOG.